1973 Dodge Charger with a 400 cu. in, V8, automatic transmission. Exterior is Lime Green and paint is in good condition. Interior is in black vinyl and in good condition. 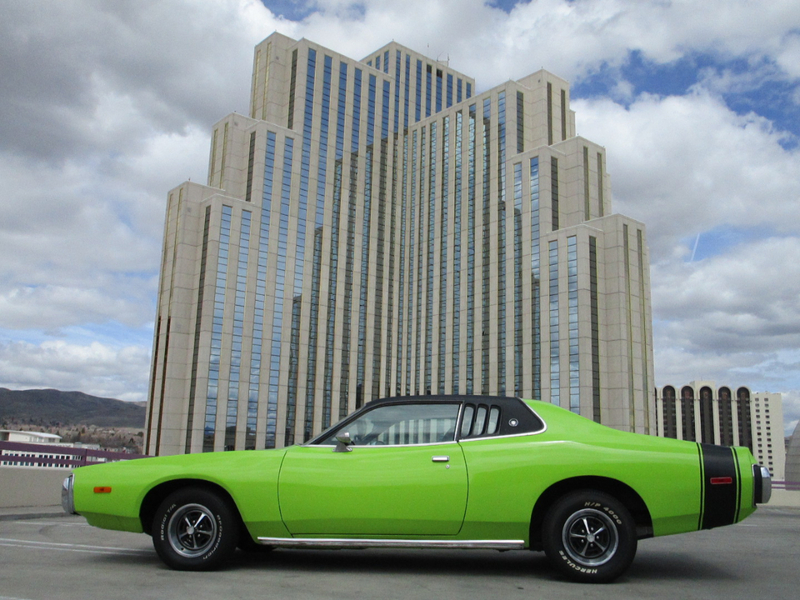 This cool muscle car has power steering, and power brakes. Front seat is a bench seat. The car runs and drives well. Message: Thought you might be interested in this 1973 Dodge Charger.